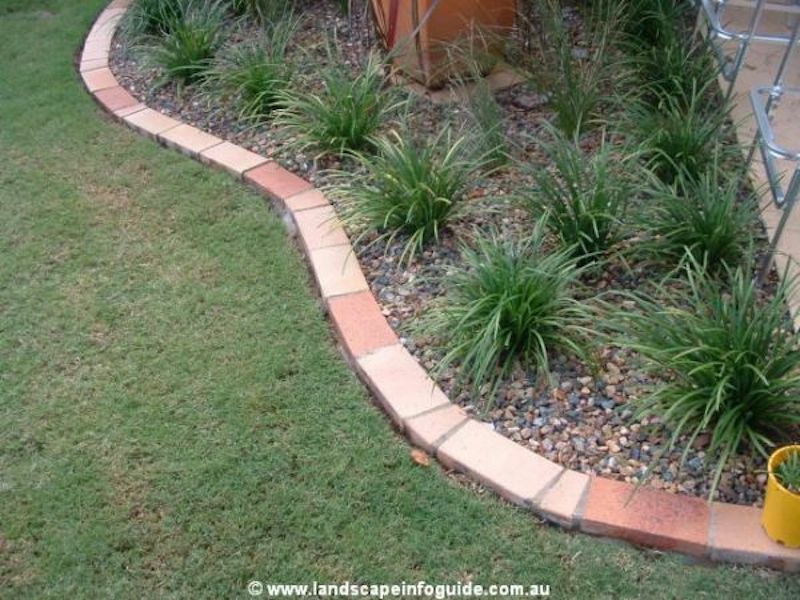 With these solid garden edging ideas with bricks you can elegantly make paths or corner off certain areas in your backyard. Gardens today ultimately serve an aesthetic purpose. They are functional for growing fruits and vegetables, but in this day and age, even those vegetable gardens should be attractive. After all, a handsome looking garden is a sign of a dedicated gardener. 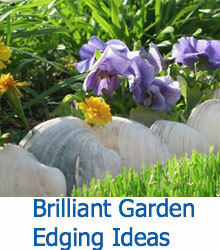 Keeping a fine edge around your garden is a huge part of maintaining its overall appearance. Without some kind of edging, a garden can easily go from looking exceptional to acceptable. It may seem like a minute detail, but you would be surprised what a clean edge around a garden can accomplish. 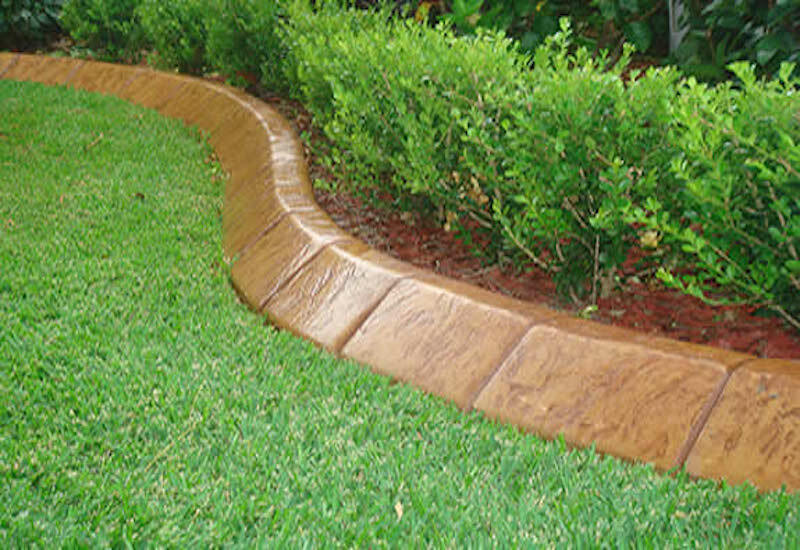 There are many different options of material for edging around a garden. Some of which include wood, stone, brick, or even plastic. 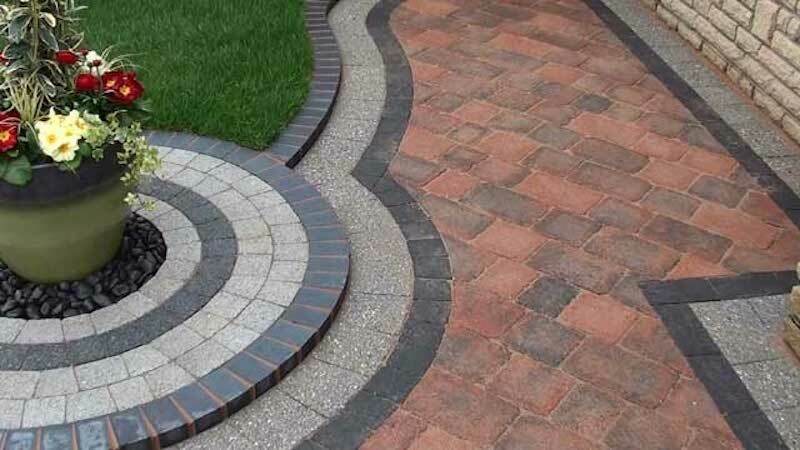 These different options are all suitable for different gardens, but using brick can create a look unique from any other. 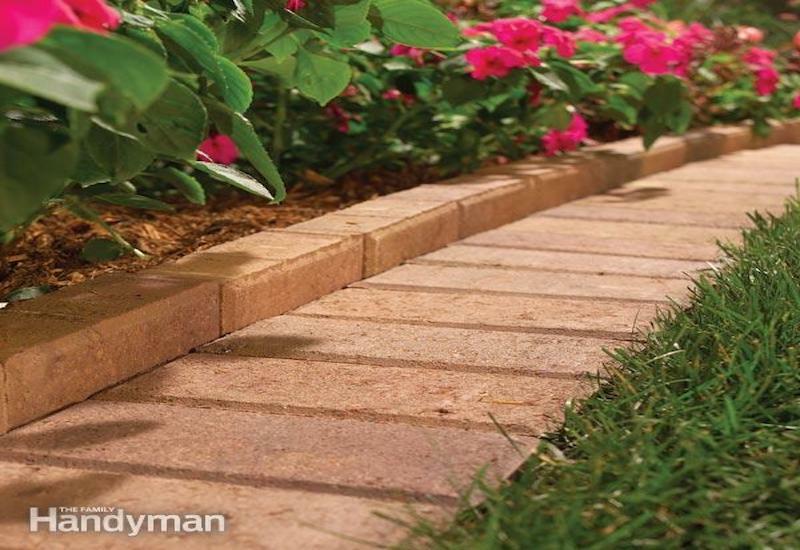 Another benefit to using brick for edging is the fact that it is less vulnerable to being worn down by the elements. Take a look at these ten examples we have provided, and get a better idea of some uses for bricks as edging. 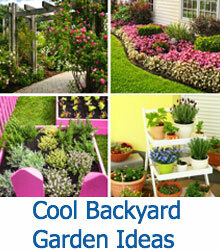 You may even see something you want to use in your own garden! 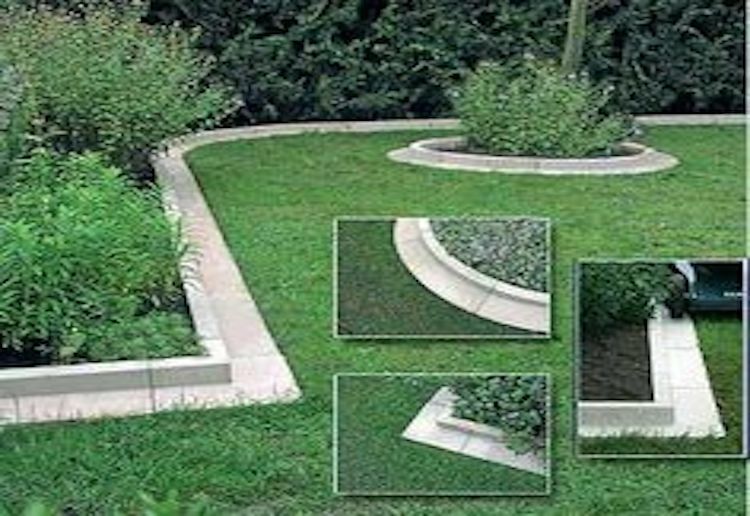 This simple and easy to install edging only requires you to dig a rut for the bricks, and simply line them along your garden, filling the spaces in between with dirt once you are done. 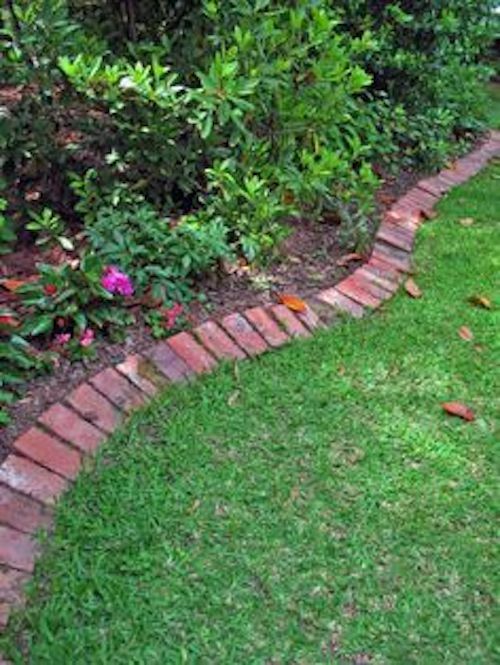 A mock brick edging, this design gives you an edging that will last forever, without having to deal with any chipping or wear and tear of regular brick. The high incline makes it possible for you to fill your garden with mulch or stone. 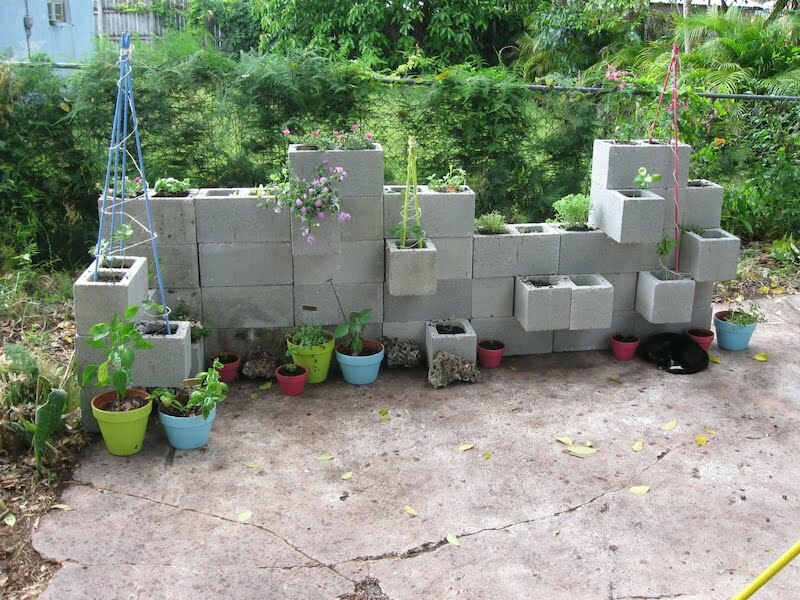 A unique and creative idea, this design features concrete blocks stacked on top of one another, with the occasional brick turned outward, providing a makeshift planter that is also built into your edging. 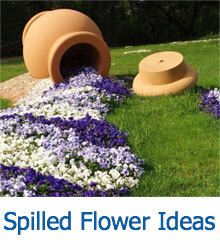 This idea is perfect for a small, confined area that needs edging. These layered bricks are set up in a creative design. Using different colored bricks for each layer creates a visually pleasing platform, as well as a functioning edge for your garden or walkway. 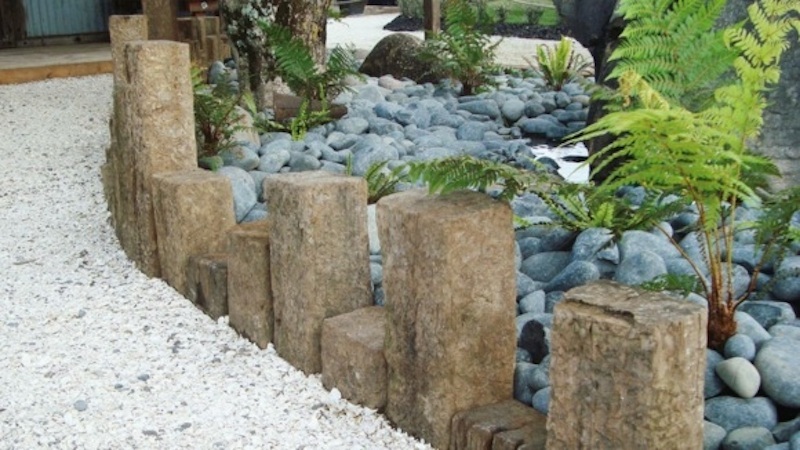 These rustic bricks are staggered at different heights and lined up vertically, creating a unique design, and forming a high edge for an effective retaining wall. 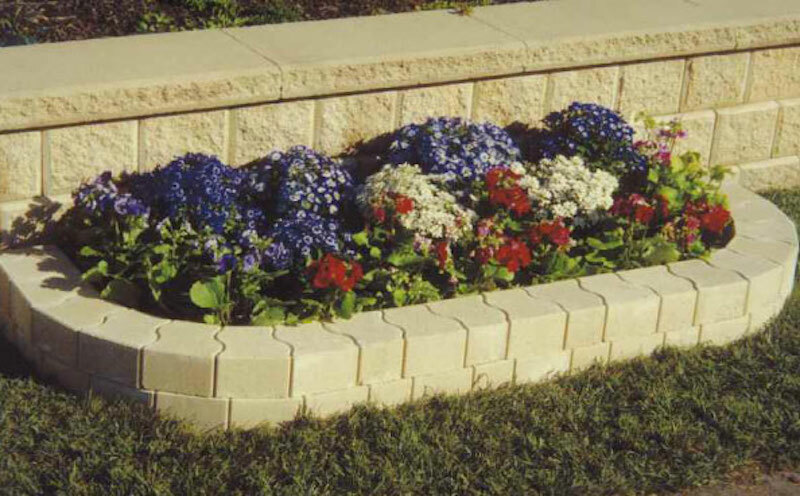 These bricks are great for sectioning off a small flower bed. They serve as a good retainer and are also somewhat decorative, due to the curved edges. This design is a unique way to use traditional brick. Rather than simply laying them side to side, this idea requires digging out a rut for the bricks, then leaning each brick against the other, creating a jagged edge. A very clean and professional looking edging, this design is effective when you have a large area to cover. 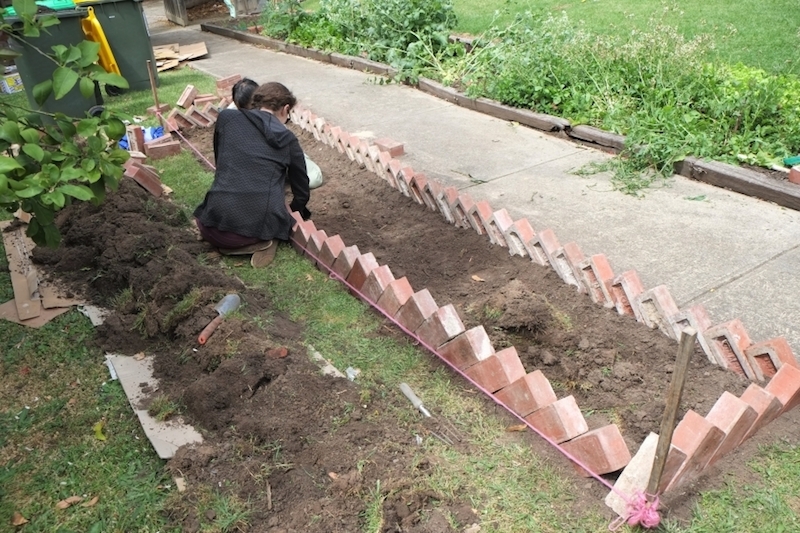 The large bricks allow for a wide separation of your lawn and garden. 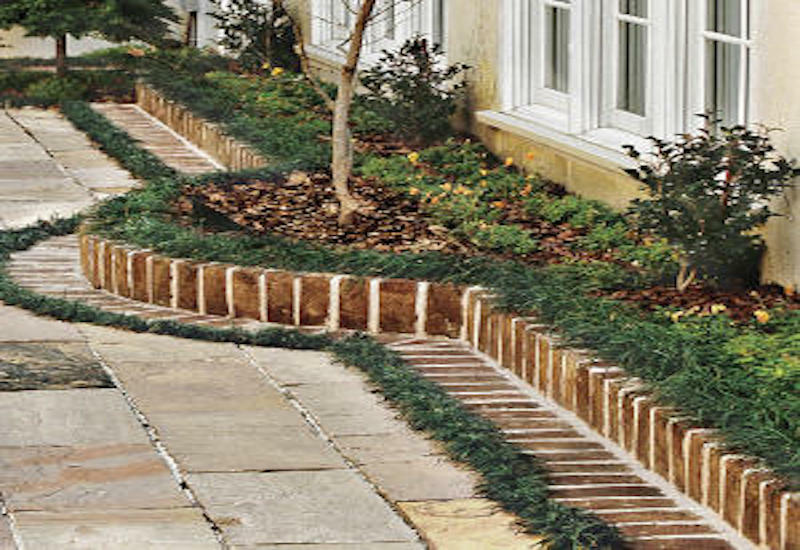 Similar to the curb design in the former example, this edging uses traditional bricks molded together to create a wide and high edge for your garden or sidewalk. Traditional bricks sealed together at each end form this simple edging. This design works well for long straight gardens, or angled sections of brick can be used to create curves for a rounded edge.